Rajasthan » Destination Wedding in Rajasthan » Why Choose Jaisalmer for Destination Wedding? Why Choose Jaisalmer for Destination Wedding? Imagine driving into a desert, where the sky turns pitch dark, you hold the hand of your beloved and walk into well-lit sand dunes, bejeweled with millions of stars, wine, authentic dishes, soulful tunes of Rajasthani folklore. What more could you ask for? If you yearn to take vows in a serene surrounding like this, then choose Jaisalmer for Destination Wedding. Jaisalmer was founded by Rawal Jaisal in 1156 AD. Knit with stunning and vibrant desert-like venues, this Golden City of India, will give your big-day that much-needed charm and glory. Jaisalmer has witnessed some of the epic love stories, and hence has been one of the most loved destination wedding places in Rajasthan. The entire city has retained its charisma and till-date narrates Rajputana legacy via Thar desert, sand, camel rides, forts, and havelis. Apart from the understated charm, destination weddings in Jaisalmer bask in rich and glamorous retreats like Fort Rajwada, Suryagarh, Jawahar Niwas, Gorbandh Palace, and Narayan Niwas. For wedding functions, you could choose from Bageecha lawns, Sarovar poolside, Taal amphitheater, and Sam Sand Dunes. Fort Rajwada gives you a chance to sail in the ocean of luxury and opulence just like the Royals. 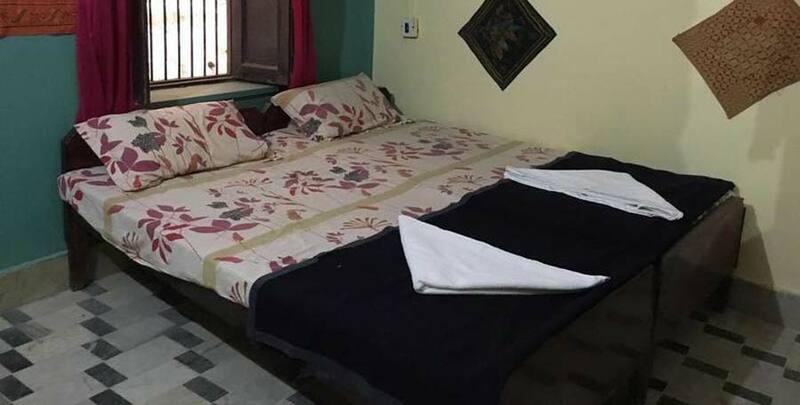 This luxury resort stands tall amongst all the other hotels in Western Rajasthan for its exquisite architecture blending with the picturesque & rich heritage of the Golden City. Built facing the "Sonar Killa," Fort Rajwada is a unique piece of architecture in yellow sandstone, which comes alive with the golden glow of sun rays, thus adding absolute delight and enchantment. Here you could discover the exciting history of Rajasthan, relax in the desert and cherish a delicate blend of modern and traditional culture. Made with subtle strokes of sandstone, Fort Rajwada ensures that its guests have a majestic experience. At Fort Rajwada, you could host wedding functions for up to 200 guests with Thar desert as the backdrop. With an array of outdoor settings, gatherings could be brought to life amidst true desert tranquility. Barbeque get-togethers and gala celebrations would add to the wedding carousel. Suryagarh is nothing less than a poetic tribute to Jaisalmer. Tightly knit in shimmering sands, it gives a glimpse of the Rajputana way of life. A window to the mighty Thar desert, Suryagarh is a boutique hotel made of yellow sandstone and blends with its ambiance. The desert’s soothing aura and an infinity pool of sand would bring peace and serenity into your new life. While planning your destination wedding at Suryagarh, you could choose from a combination of courtyards, terraces, gardens and banquet rooms for every function. The best part about this grand venue at Jaisalmer is their umpteen hospitality. After a hectic four hours drive from Jodhpur, you would be cradled in luxury and would be welcomed by a showering of rose petals, traditional drums, and auspicious chants. The hearty-spirit and welcome drink would freshen you up, and their hospitality would keep you warm until the check-out. The venue itself is so beautiful that you would hardly need any decor. The impressive interiors and colorful dunes would serve as a perfect backdrop for an enchanting wedding. Talking about food, the traditional dal bati churma, and Badam ka Halva would add to the alfresco retreat. The traditional and skilled folk musicians of the Thar Desert – Manganiars would fill the air with their soulful music and your marriage a day to remember – always and forever. Jawahar Niwas is a heritage hotel whose foundation was laid by Maharawal Shalivahan Singh Ji in the 19th century. The hotel exudes elegance and charm with its palatial architecture that showcases golden sandstone, intricately carved Jharokhas and Chhatris. Like other heritage hotels in Rajasthan, Jawahar Palace too has played host to the royalty and British rulers. But names of the first prime minister and first president of India make it all the more alluring. 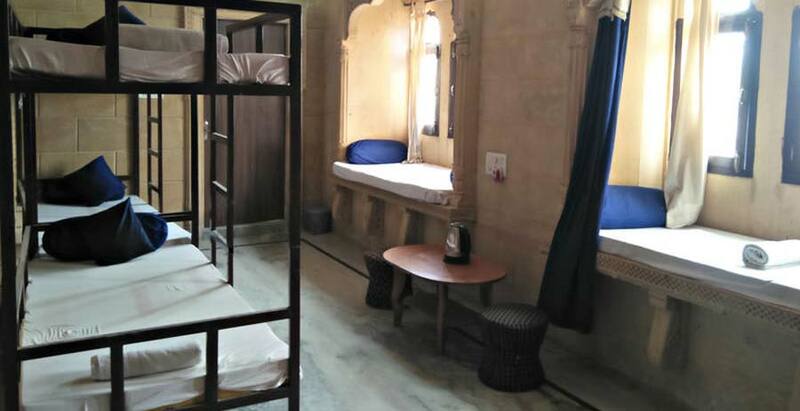 What makes Jawahar Niwas a perfect venue for a destination wedding in Rajasthan, is its perfectly fabricated luxury suites and deluxe rooms, intricately designed Jharoka balconies and ultra-romantic outdoor setting. Functions here would transport the couple and guests to the epoch of Indian Maharajas with their feet firmly in the present. The excellent view of the golden-hued Jaisalmer Fort, the surrounding city, and its superb sunset view would allow the bride and groom to click some amazing pre and post-wedding photos. The Gorbandh Palace is one of the most beautiful heritage hotels in India. It offers stunning views of the forts and dunes. Gorbandh refers to a harness with which camels are decorated, and thus the hotel derives its name from the nearby desert. For an enchanting wedding, the hotel offers a luxurious royal retreat for you to enjoy all modern-day amenities in an authentic Rajasthani ambiance. Lush greenery, fountains, state of the art spa and the blue waters create a tranquil haven from the heat and dust of the desert city. The café and lounge are a perfect destination for your guests to unwind with a drink. This is one of the most exquisite heritage palaces of the 19th century that has been restored a heritage hotel in 1982. The enigmatic palace was built by General Amar Singh. He was the Thakur of Kanota & Commander of the former Jaipur State Force and a close friend of Maharaja Sawai Man Singh. The palace is plush with golden sandstone structures, and intricate carvings are a testimony to the talent of former master craftsmen. Finished to perfection with a Rajasthani feel, the Narayan Niwas Palace bears testimony to the ethnic splendor and magnificence of Rajasthan. The carefully carved windows and jharoka balconies are a prime attraction of this majestic palace. Its unmatched hospitality, classic ambiance and magnificent setting make it a perfect venue for a destination wedding in Jaisalmer. Your destination wedding in Jaisalmer would genuinely be unforgettable. With flowers and lights, beautifully caparisoned elephants, horses, and camels welcoming guests into the lavish venues you would feel nothing less than a prince and princess.